Houston, TX: OnSho Shoes, a well-known Houston-based online retailer, has recently added even more high-quality leather shoes to their lineup of products. This latest addition ensures that women from all across the country will be able to buy high-quality Italian and American-made shoes at the lowest prices possible. OnSho Shoes has made a name for itself as one of the biggest marketplaces for both mens and womens shoes, but particularly for high-quality Italian-made products. Women from all across the country are able to purchase high-quality shoes from OnSho Shoes, without having to overspend on name brands, or worry about expensive shipping fees, long import times, or issues passing customs. 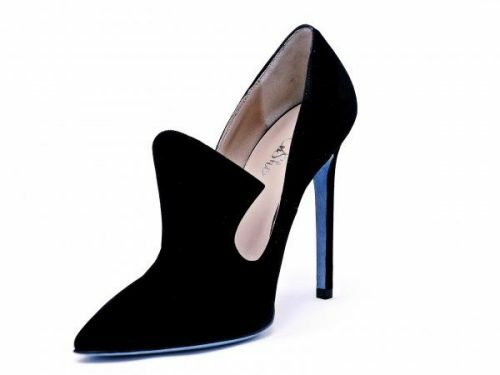 By selling high-quality Italian leather shoes for women from Houston, OnSho Shoes takes the guesswork out of purchasing imported goods and with great wholesale prices, the savings are passed on to customers. Our goal has always been to make luxury affordable to the everyday consumer, said a spokesperson for the company. Our CEO founded OnSho Shoes because she believed there was a better way for American consumers to get the luxury Italian goods they wanted, without overspending. OnSho Shoes regularly has a stock of hundreds of fine Italian shoes for both men and women, and because its stock is constantly rotating and new items are always being added, it offers consumers plenty of footwear options. Not only that, but OnSho Shoes also donates a percentage of its profits to charities, aiding the homeless, survivors of sexual assault, veterans and more. We ve always been proud to offer the best Italian shoes at great rates, and we pride ourselves on giving back to the community, said the spokesperson, when reached for comment. By purchasing our products from leading manufacturers at wholesale prices, we can pass the savings onto our customers, and our charitable ventures ensure some of your money goes to a great cause. For more information about OnSho Shoes, their products, and other such details, please follow at @onshoshoes on Twitter and Facebook. Further press inquiries, questions and comments can be directed to the toll-free number, 1-844-44ONSHO. About OnSho Shoes: This Houston-based online footwear retailer was founded to provide men and women with an all-in-one shoe marketplace, where they can purchase high-quality Italian shoes for low prices, and get everything they need to feel great and look good, on a budget. By working with high-quality Italian designers and manufacturers for both brand-name and in-house products, OnSho Shoes provides customers with incredible savings opportunities on fine footwear.